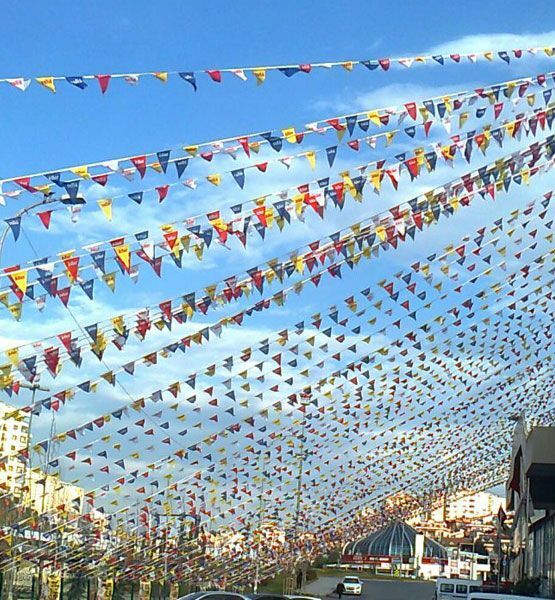 Ordered Pennant is another type of flag that is used very frequently in the street decorations and attracts attention with the sounds which it makes in windy weather. This type of flag is also among our products which can be used indoors and outdoors. Ordered pennants designed with vibrant colors are more popular at Shopping Mall, market and store openings. In addition, Ordered Pennant is also quite suitable to be used for advertising purposes when desired symbol or logo is designed on Ordered Pennant flag type. Our ordered pennant product is manufactured with the finest craftsmanship in terms of remaining robust and durable depending on the area where you use. 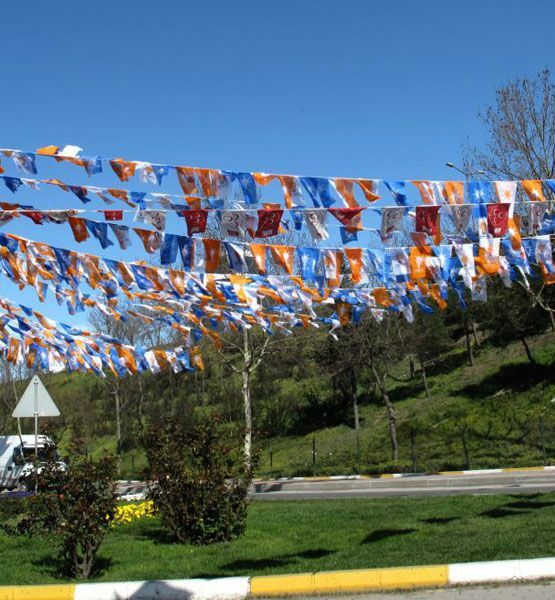 It is the type of ordered pennant and flag which we, as Seçkin Bayrak, produce for use in fairs and events of many brands and companies. Ordered pennants, which we can also call as serial flag, are produced from Raschel fabric. We, as Seçkin Bayrak, are preparing all your Ordered Pennant orders as soon as possible. 2016 © SEÇKİN BAYRAK All Rights Reserved.